China is a wrap! It’s been an epic 2 weeks, and I will continue to share my thoughts and experiences in the days to come. I am grateful for reconnecting with old friends and making new ones on this trip. For those of you who have commented, DM, or have talked to me in person showing interest in joining us next year as we visit our next training base here in China, mark your calendars for around the same time next year. Coach @wuchuanfu will most likely be making 2018 plans towards the end of this year. 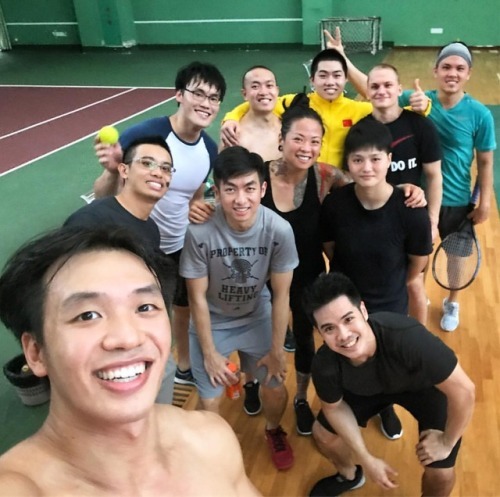 Bonus Edit: We ended up playing badminton, tennis and basketball with some of the athletes here at the base after our PM training session. I learned that I’ve lost my overhand and can’t direct the birdie to save my life. Good thing I’m keeping the day job.